I first visited China back in 1998, and the difference at Beijing Capital International Airport between then and now is massive. 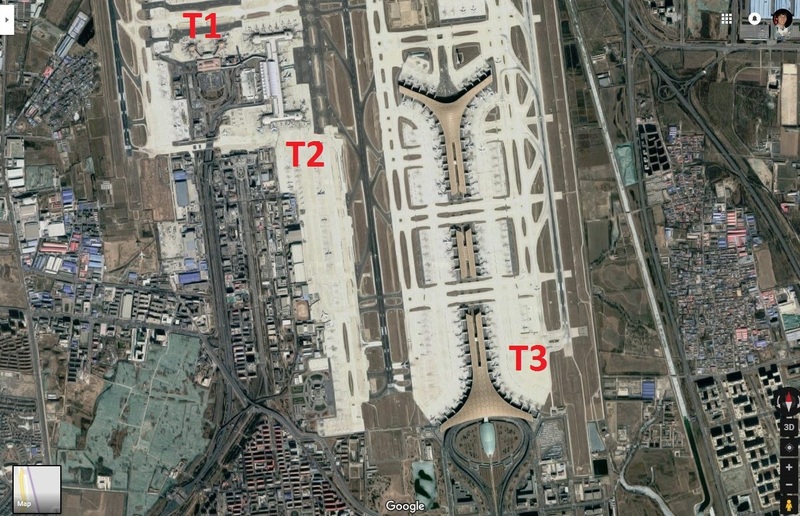 When I first flew into Beijing in 1998, there was only a single terminal, and with a handful of jet bridges. Terminal 1 opened in January 1980 with 16 gates and 60,000 m2 (650,000 sq ft) of space, replacing a earlier terminal which had been in operation since 1958. 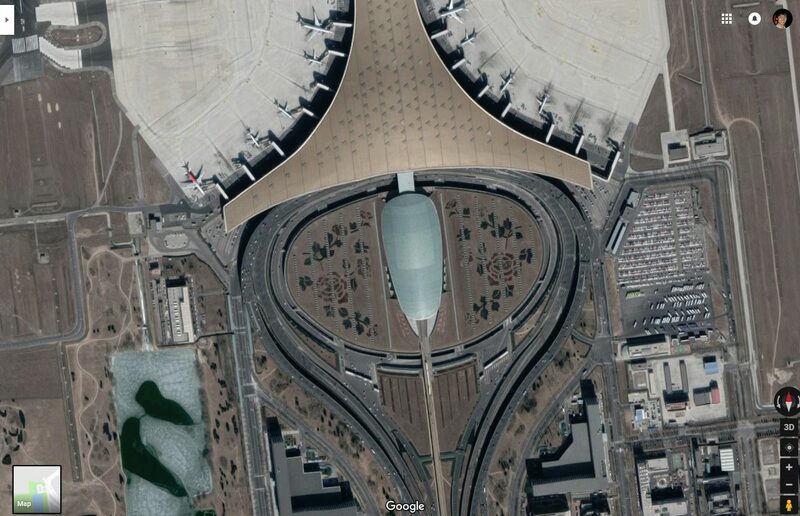 My main memory of the terminal was the round rotundas at the end of each pier. Which had a shop in the middle, and a mural on the ceiling – none of which exist today. But by the 1990s even Beijing’s replacement terminal was too small, so work started on a bigger facility next door – Terminal 2. 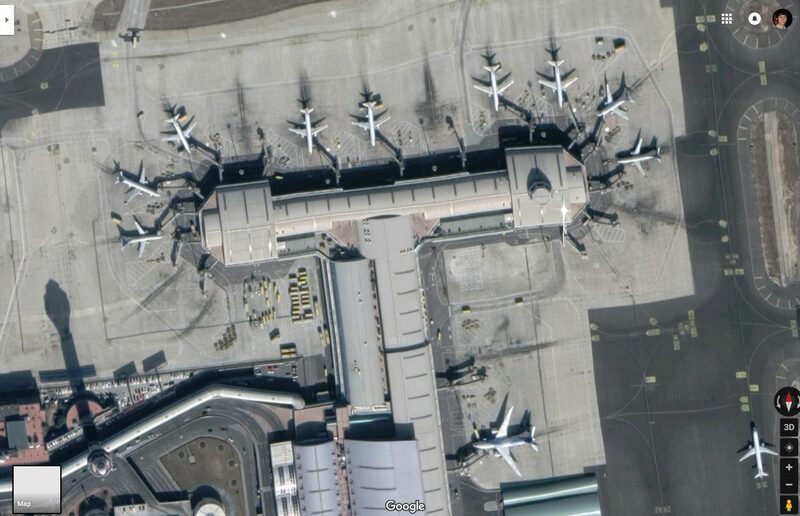 Which dwarfed Terminal 1 next door. 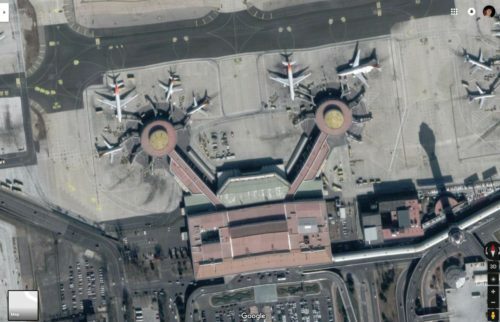 Terminal 2 opened in November 1999 with 20 jet bridges and a floor area of 336,000 m2 (3,620,000 sq ft), and was used as the sole terminal until September 2004, while Terminal 1 was renovated. 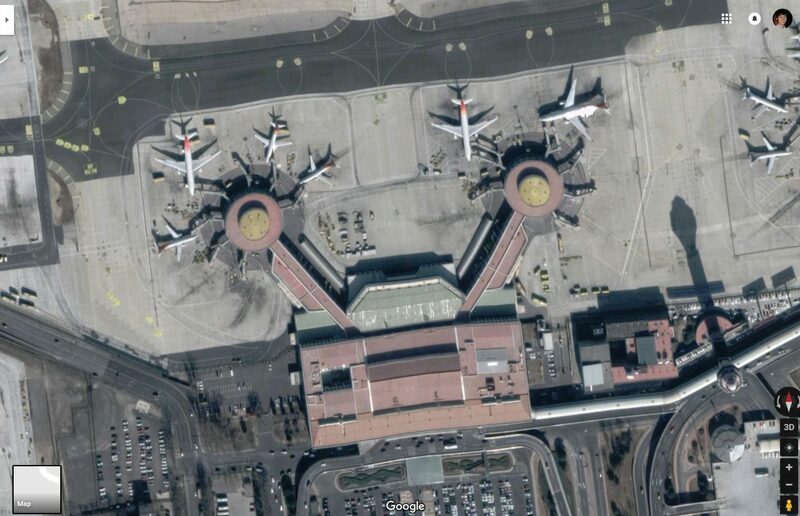 But this never terminal was not enough, so an even larger Terminal 3 was built on the other side of the airport. 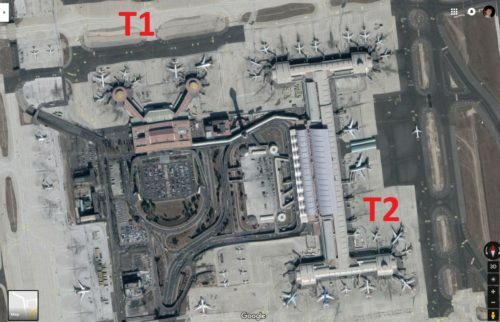 Dwarfing the rest of the airport – Terminal 1 and 2 are barely visible to the top left. Construction of Terminal 3 started in March 2004, and opened in two stages. Trial operations commenced in February 2008, with the complete terminal opening in March 2008. Terminal 3 was the largest airport terminal-building complex in the world to be built in a single phase, with 986,000 m2 (10,610,000 sq ft) in total floor area, with 72 jet bridges and 78 remote gates across the main passenger terminal (Terminal 3C) and two satellite concourses (Terminal 3D and Terminal 3E). 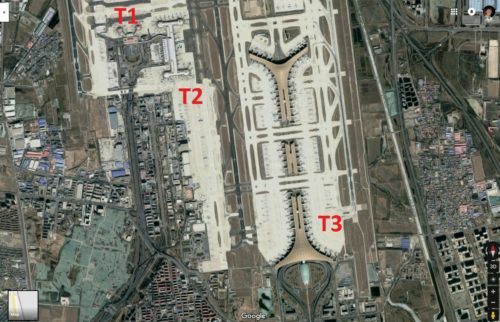 But even this massive airport isn’t big enough to cater for China’s explosion in air traffic – Beijing Daxing International Airport is currently under construction – featuring 4 runways, 268 parking bays, and a 700,000 square meter terminal. I haven’t been able to find any details about the mural I remember seeing, but a mural by artist Yuan Yunsheng was quite controversial when unveiled in 1979. Travelers rushing through Terminal 1 at Beijing Capital International Airport used to freeze in their tracks when they caught a glimpse of a mural with lush tropical colors, crisp lines and sensuous curves of three naked women washing their long tresses. Inspired by the traditions of the Dai minority in Yunnan province, Water-Splashing Festival: An Ode to Life, unveiled in 1979, marked the difficult rebirth of the “aesthetic movement” in Chinese art after decades of political turmoil in the 1960s and ’70s, according to critics. The piece catapulted painter Yuan Yunsheng to the global stage as an avant-garde artist emerging from the ashes of the Cultural Revolution. Some further Chinese-language articles on the mural – 1, 2, 3 and 4. This entry was posted in Transport and tagged airports, aviation, Beijing, China. Bookmark the permalink.